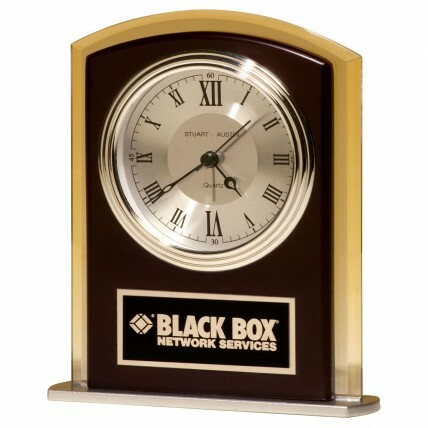 Modern and stylish, our Dark Cherry and Glass Contemporary Desk Clock is a great value! 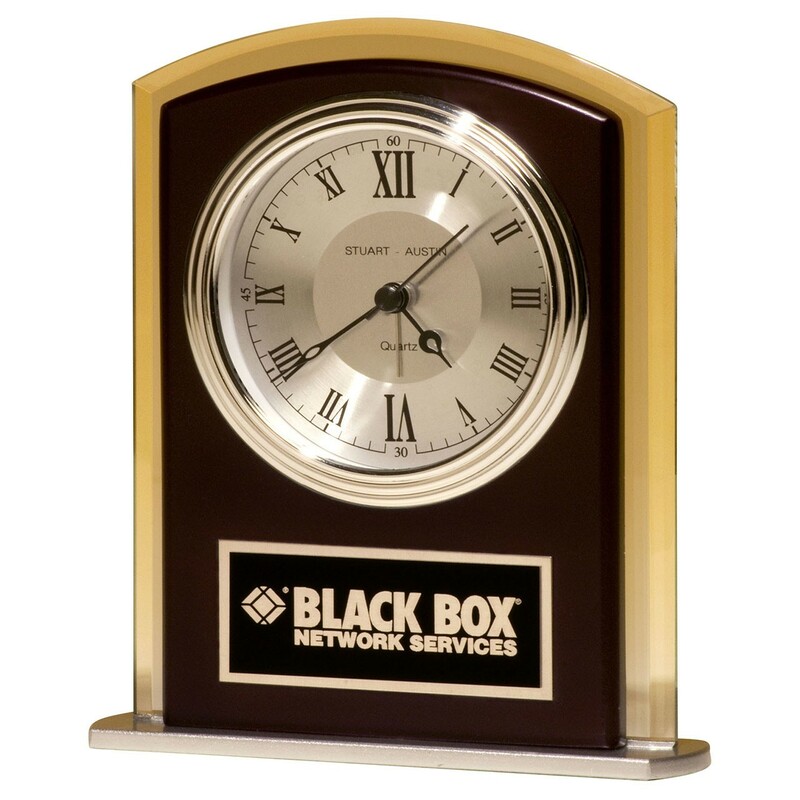 The desk clock features a dark cherry colored wood front with glass behind. The shiny brushed silver dial is surrounded by a polished silver tone bezel. Your personalized message is engraved onto a black aluminum plate with silver letters. Battery and gift box is included. Overall size approx. 5 1/2" high by 6 1/2" wide.